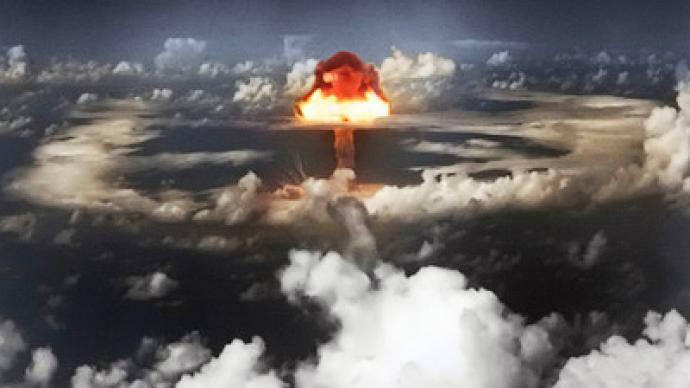 Are Americans prepared for a nuclear strike? At the height of the Cold War, Americans were worried that at any moment the country could become engaged in a nuclear war with the Soviet Union. The federal government built thousands of fallout shelters across the country and bombarded the airwaves with public service announcements about what to do in the event of an attack. Americans could find fallout shelters in apartment buildings, homes and schools. The shelters were usually stocked with enough food and water to last two weeks, cots to sleep on, and medical equipment. “There were about 1000 shelters originally, but today all the interior shelters have mostly disappeared. We’re trying to preserve the signs as memory to the era,” said Adam Irish, a preservationist who started the group District Fallout to preserve the fallout shelter signs in Washington DC. Bill Brown is a Washingtonian who remembers living and going to school during the Cold War. But most of these Cold War preparations only protected Americans from fallout, the particles that fill the air in the aftermath of a nuclear explosion. The radioactive particles would fill the air and could cause sickness or death if people were exposed to it. “Fallout wasn’t a real threat because the city would have been first on the hit list,” Irish explained. Today, only remnants of this era still exist. But has the threat of a nuclear strike really disappeared? And are Americans prepared if it were to happen? “Back then it was mutually assured destruction so no one fired missiles at each other, but today if a terrorist group has a missile there’s nothing to stop them, nothing to stop them from using the bomb,” Irish said. When asked, most Washingtonians said they had no idea what they would do if the city were to be the target of a nuclear strike in the near future. Brent Budowsky, a columnist from The Hill in Washington remembers what it was like to work in Washington during the Cold War. He explained the government created plans and held drills to prepare for possible nuclear attacks. The military created evacuation plans for the Congress, which entailed specific meeting places, helicopter evacuation details and a secret location they were all to be taken too. At maximum, they would have 22 minutes notice to evacuate before impact. There was no way people could leave their offices, meet at the proper point, board a helicopter and fly away from the blast zone in time. It was not feasible, he explained. Today the US has similar plans for modern day threats in the case Washington, DC is destroyed by a nuclear weapon by terrorists. It is unclear whether or not these plans would be any more affective.